My wife and I are paratroopers who enjoy going on military jump tours to earn foreign jump wings. There are several individuals who organize these trips. All of these trips are open to graduates of military jump schools. Some accept graduates of civilian skydiving courses. The ages of the participants range from 18 to 80 and they are often accompanied by family or friends. If you have ever graduated from a military jump school and would like to earn foreign wings, this is your chance. It does not matter whether or not you are currently in the military. 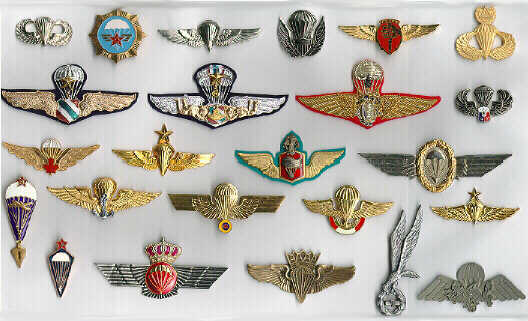 Most of the tour directors will supply you with the necessary papers so that you can get permission to wear the wings on your uniform if you are presently on active duty or in the reserve forces. Contact the individual tour provider listed below for details on upcoming trips. We are just tour participants like you and are providing this information in an attempt to get more people involved in this activity.